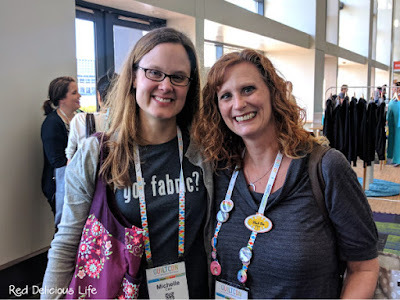 Always fun to meet our "virtual friends." 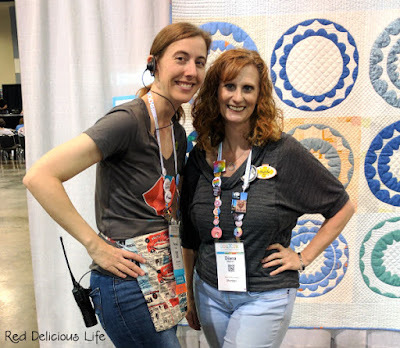 Rumor is that QuiltCon comes to Nashville in 2019 so perhaps we'll meet then! I like the way you slipped in "I got a longarm." I'm so glad you came home recharged and inspired. And it was so lovely to get to meet you and hug you in real life. 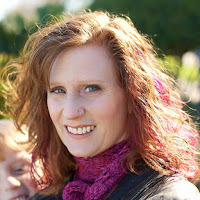 I hope we bump into one another soon - and perhaps when I have had more sleep (haha)! 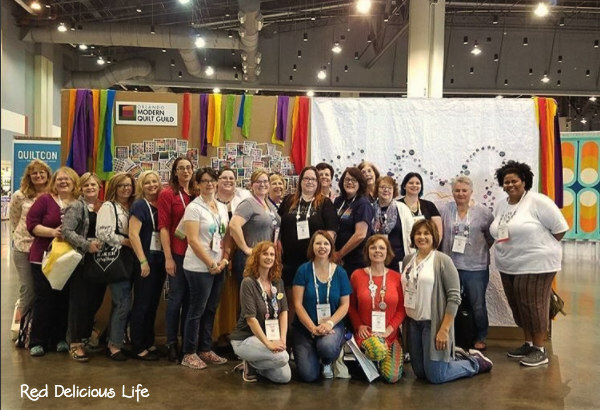 What fun to be able to meet so many members of the online quilting community. A few trinkets and ..... a long arm??! Wow! I can't wait to hear more about that. So glad you enjoyed the trip. It is so heartening to me seeing all of the young women involved in quilting. 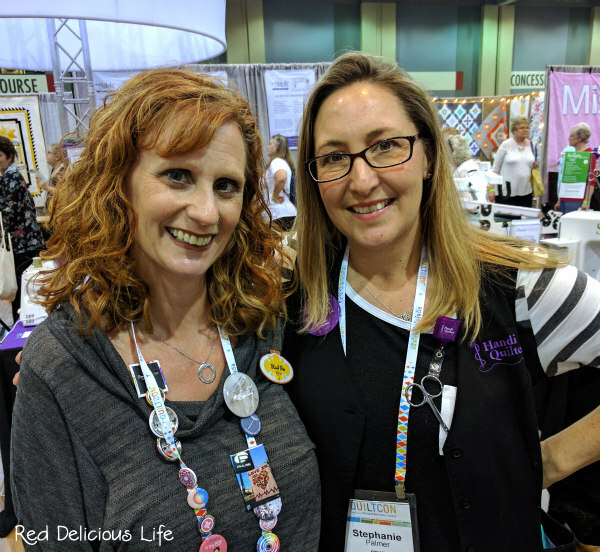 I so thought sewing was a lost art and now I've been proven wrong. Hurrah for you getting a long arm! Oooohhh, I like the way you just quietly announced you bought a longarm. Awesome! Glad you had a good time. 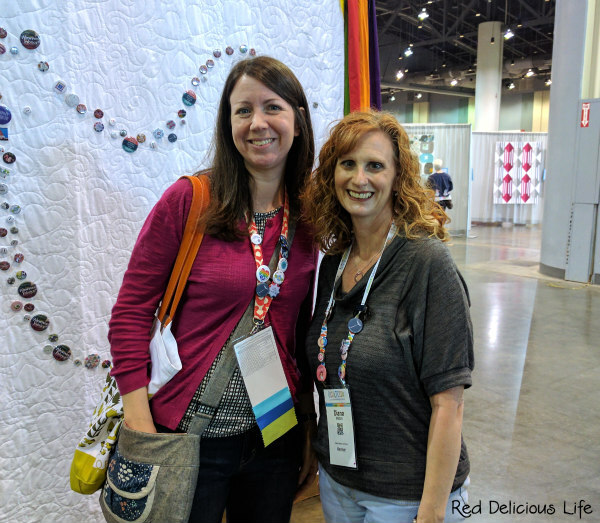 I'm hoping to make the QuiltCon journey one of these years. Sorry I missed you Diana. I saw you across the room a couple of times but never caught up with you. How great that you got to meet so many people! Absent? Constantly playing catch-up? I hear you! I almost missed the long-arm reference. I can see you having lots of fun with that. I bet that didn't fit in your suitcase! Oh it sounds wonderful!! How did the longarm fit in your luggage?!! !